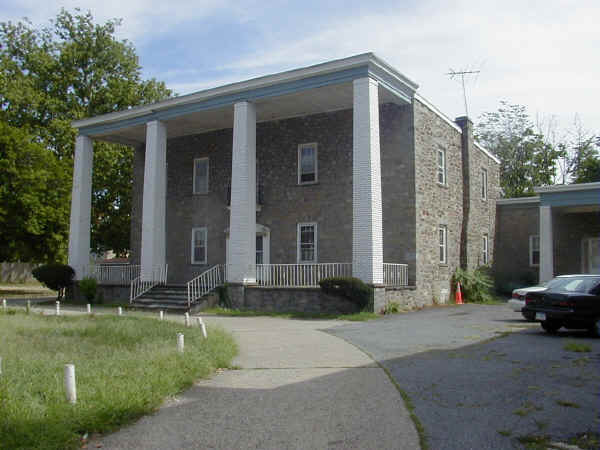 Photo of former location at 811 W. 3rd St.
History "I remembered the Belvedere Convalescent home at 811 W. 3rd, Chester. I am not sure exactly when it became a nursing home. In 1971 it was a convalescent home. Fred and Willie [Muscella] had their studio in a house next door to the home. I believe before it was a convalescent home it was a private hospital run by Dr. Demedio. "The present location of the Belvedere, 2507 Chestnut St., was the home of Catherine Stevenson." © 2001, 2002 John A. Bullock III.